May 19, 1989 Cyril Lionel Robert James, historian, journalist, and author, died. James was born January 4, 1901 in Trinidad and Tobago. He graduated from the Queen’s Royal College in Port of Spain and initially worked as a school teacher. In 1932, he moved to England and began to campaign for the independence of the West Indies, including publishing his first important work, “The Case for West-Indian Self-Government” (1933). He also became a leading champion of Pan-African agitation and the chairman of the International African Friends of Abyssinia, formed in 1935 in response to Italy’s invasion of what is now Ethiopia. In 1936, James published his only novel, “Minty Alley,” the first novel to be published by a Black Caribbean author in the United Kingdom. 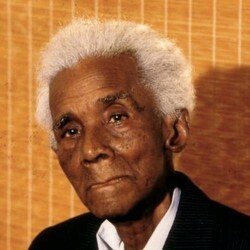 He then published two of his most important works, “World Revolution” (1937) and “The Black Jacobins: Toussaint L’Ouverture and the San Domingo Revolution” (1938). James lived in the United States from 1938 to 1953 when he was forced to leave under threat of deportation. Ultimately, he returned to England where he lived until his death. A public library in London is named in his honor.